Second time in a week we’ve run across a car from the seventies which attached the Roman numeral II to its name, this time being this 1971 Pontiac Ventura II. Yes, it looks like a Chevy Nova (which itself started life as… the Chevy II), and that’s because it pretty much is a Chevy Nova with a different grille, taillights, and minor trim changes. Not to be outdone, for MY1973 Buick and Oldsmobile would get their own version of this car, the Apollo and Omega, respectively. Which, when you think about it, makes for a NOVA acronym for the four of them. Passed by this green sedan often this month in Kenmore. 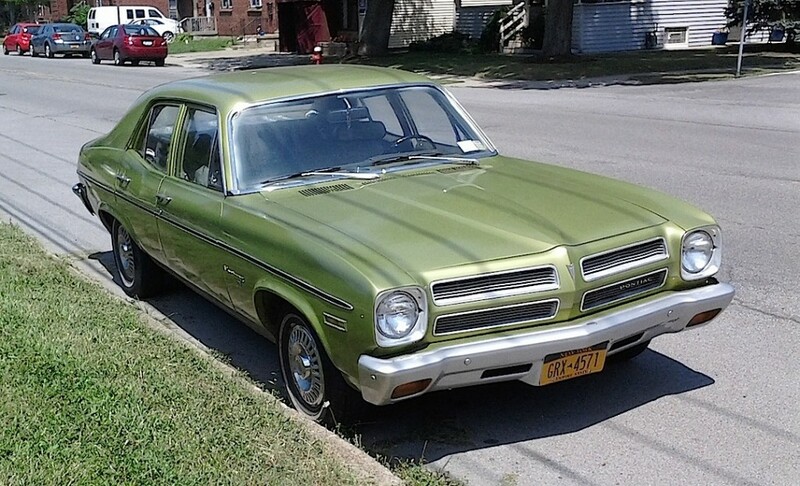 Jim Corbran, RRofWNY …and check out our Facebook page: Un-American Classic Cars The post RealRides of WNY appeared first on Buffalo Cars.